Phagla(Indian gourd) phodi(click here to see phagla). Usually in India, the fresh phagla is available and they are cut into round shapes. I got the frozen ones in Indian store here which were already sliced. Following picture contains assorted phodis like kadgi/bread fruit(left), cauliflower(top), seeme badane(right), phagla(down). Mix vegetables cut into big pieces with asafoetida, turmeric powder, salt, tamarind juice(Add 1/2 tspn garlic paste if using potato). Keep aside for 10-15min. Apply oil to the tava. Mix rava with chilli powder and little salt. Apply it on all sides of vegetables and shallow fry on the tava. (Check if it is cooked from all sides. If not cooked, add little water, close the lid of tava & cook). In my family, we use a mixture of udad dal flour and rice flour and add all other ingredients except tamarind, coat the vegetables with this mixture and deep fry them. For Ganesh Chaturthi, we always make 5 different type of phodis – batata, raw banana, phagil (kantola), kadgi, karate (karela), suran, tendlen (tondli),…ofcourse vaingan will taste very very yummy.. When I get the frozen ones her in US, I have a hardtim frying them becuase of the water content. I tried to defrost it and put it on a tissue paper to absorb the water but the Phodis become soggy. Any tips? Sangeetha, Sorry, I am confused. What are you talking about? I have mentioned phodis of different vegetables here. I use only fresh vegetables for these (except for phagla). Where do you find fresh jeev kadgi/breadfruit? my fave is gulla phodi, which i wd make asap! 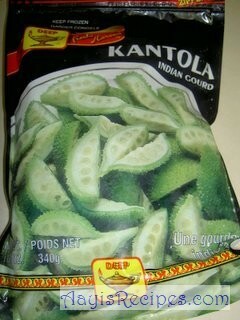 hope i get gulla in mangalore stores! u saved me an intl call to amma as i was craving to eat this!! I tried this recipe with purple yam, and it was so delicious! Thanks for sharing it, Shilpa! Dear Shilpa All Saraswats love phodis. But have you tried a new Phodi. Do make it I fry Mushrooms cut into 4 lengthwise as phodis. I don’t put tamarind juice. 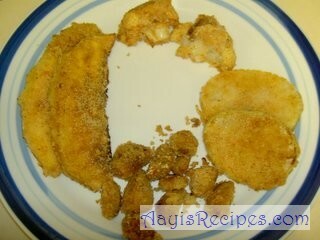 Fry it just right and when it begins to leave water and shrink just stop frying. Shilpa: Yes Shubhada, we do make mashroom phodis very frequently. Its one of my favorite among the lot :). I tried these phodis with Sweet potato(availaible here in US).It tasted really well.Only change i made was instead of tamarind juice, i applied Lime juice to d phodis.Also i cut d vegetable into thin slices as we do for (potato bhajia )Its a gud starter. Thnks for sharing the recipie. I really like the pic’ s you give after every reciepe.. Your blog is like a godsend to me. I got married recently and had never entered the kitchen before. And with a stressful and full time job its hard to find time or even muster up the interest to experiment and stuff. This blog gives me ready made recepies and they ALWAYS turn out well and hence am immensely grateful to you. Mouth watering phodis..I love almost any kind of phodi.Where did u get kadagi from ?? I would love to thank you for all the recipes. I am a karwari and i married recently.i live in the USA. i always thought i would have to call my mother to get recipes. Surprisingly, i got this web site and you wont believe i cook most of the meals of the day with reference to the receipes posted here. Im grateful to you. Well I am a graduate student from massachusetts. I havent cooked much before in my life but after i moved here for my masters I have learnt too. I am a food freak and I didnt miss home food much since long as I like experimenting on outside food a lot lol. Anyways I am addicted to your website and I just visit it to look at the pictures of konkani food as it reminds me of home…. I really cant make much as I dont hve a blender and I didnt feel the need for it but our food sure does require it so I hve to get one fast as I cant resist. I was missing kadgi chakko so much and it was then that I found your website. I even called home to say that what a awesome website I found … and then you know ladies, aunty was like kaun ti naav kasale ? hahah as if you know all the konkanis in the world. Well but you never know. My friend in NJ makes fish using exactly the same ingredients and method. And must say it tastes heavenly…I simply love it. when we use the vegetables like yam(soornu)steam it first then use the same method then the time for frying the phodi reduces.nwe can even use this for raw banana,potato. Could you please explain the meaning of this comment Preema? Before attacking someone, you need to show some proof. Preema, this is very irresponsible statement made by you. I am new visitor to this site. I am GSB girl from Goa. All these recipees are very authentic & traditional. Shilpa has taken great efforts to design this site. Kudos to her for keeping tradition alive and passing it on to next generation!! I am very very impressed with your website. I am married to a Korean girl and live in US and now a days, both of us use your website a lot. Once in a while I miss Konkani food and your website helps us tremendously. We will be trying few of these recipes for my guests, who have been invited for dinner at my place. Once again thanks for everything 🙂 Keep up the good work.